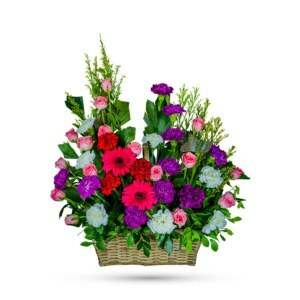 Whether for your significant other or your sister, aunt or grandmother, this delightful floral gift is a sweet way to say “I love you.” The spirit of love is beautifully captured in our enchanting bouquet, Cherry Bomb. It’s the perfect gift for anyone you love. 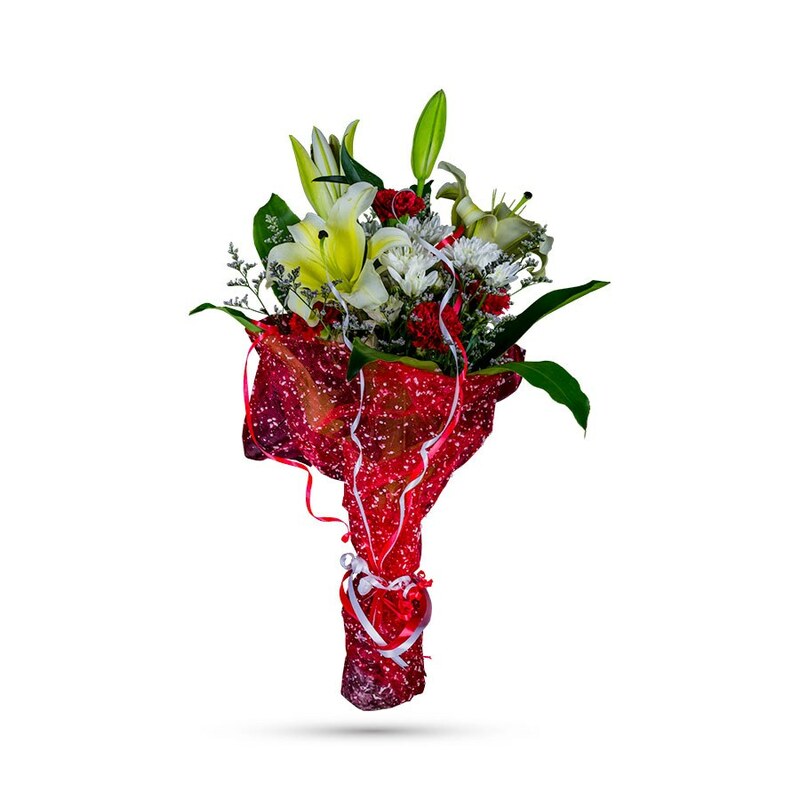 The charming bouquet includes white chrysanthemums, red carnations and lilies accented with fresh greenery in a stylish red wrapper and ribbons. 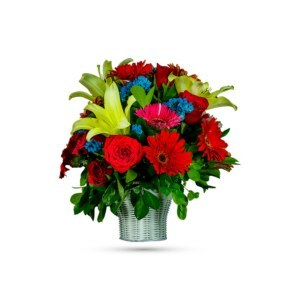 The gorgeous, colorful, sweet flowers make the perfect birthday, anniversary, mother’s day or thank you gift for anyone. Your personal relationship can be expressed in a variety of unique and meaningful ways. 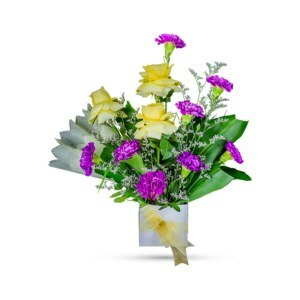 While you can’t mail a handshake, hug, or slap on the back, you can send fresh, meaningful flowers and gifts. 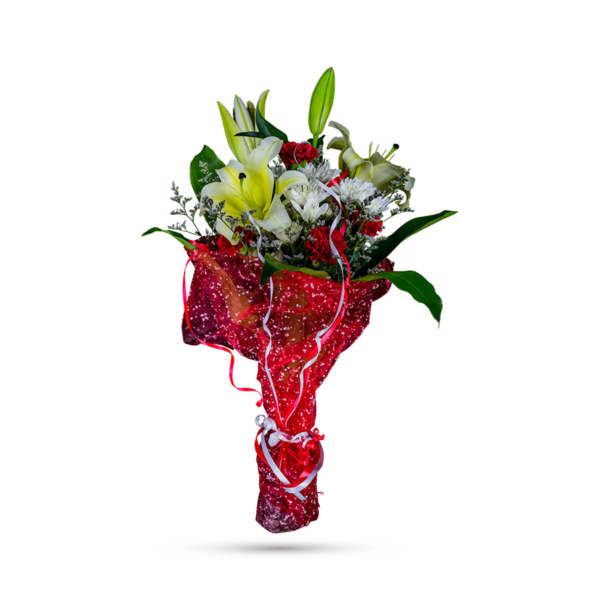 So, order online and send Cherry Bomb to show the joy and fun you have together. Got this for my mother. 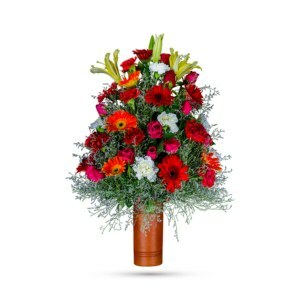 Flowers were fresh. The actaul bouquet looked better than the picture 🙂 Was really happy. Best of luck Paprii.com!! !